LANCASTER – The Lancaster City Council Tuesday approved an agreement with Organic Energy Corporation to develop a facility in Lancaster that would convert city garbage into various forms of renewable energy. 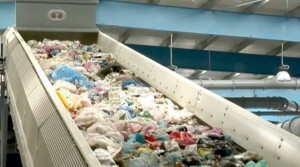 The proposed material recovery and conversion facility (MFR) would use state-of-the-art technologies to convert unrecyclable solid waste into useful products, such as green fuels and renewable energy, and would recover up to 85% of recycled materials from waste streams, which would be approximately 49% more efficient than what currently exists in Lancaster, according to city documents. City officials say the new facility would create approximately 200 permanent green collar jobs and 100 construction related jobs for the community. The city will work with Ecolution to identify a 40-acre site for the facility, and would assist the company throughout the development approval process. Ecolution will be responsible for building and operating the plant within a 24-month period. The city would commit to directing its local waste to Ecolution’s proposed facility for 20 years with an opportunity to change or renegotiate after 10 years. The city will contact regional waste haulers and encourage them to divert their waste to Ecolution’s facility. The city will receive a host fee of $5 per ton or 10% of the tipping fee at the facility, whichever is greater. Ecolution’s headquarters and point of sales will be in Lancaster. Before the city council approved the agreement Tuesday, Ecolution president Tim Fuller gave a detailed presentation on how the proposed facility would work. 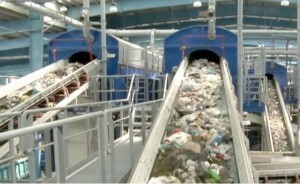 Fuller said Ecolution uses a proprietary GreenStream waste processing method which consists of grinders, belts and other machinery to mechanically sort and separate waste into 20 different materials of “highly dependable quality, quantity and value.” He said the method would eliminate the current three-bin waste collection process. “The GreenStream does not require you to decide which bin each piece of garbage belongs in, you dispose of everything in one bin,” Fuller said. He said GreenStream would work 20 hours per day, six days a week, with 48 hours each week devoted to cleaning the system. Fuller said waste processing would be done in a completely enclosed facility within the city limits of Lancaster. He said from the outside of the facility there would be no smell and no indication that up to 4,000 tons of waste per day was being processed inside the facility. Fuller said at full capacity the facility would generate up to $6 million dollars annually for the city of Lancaster. Not all residents were fans of the Ecolution agreement. Lancaster resident Scott Pelka expressed concerns about where the money would come from to acquire the 40 acres of land promised by the city to Ecolution in the agreement. He also asked how toxic chemicals would be managed, worried that the city was financing a start-up company, and wanted to know all the partners invested in the Ecolution company. 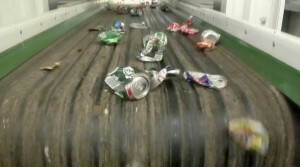 “This whole thing kinda stinks, and I don’t mean from trash either,” Pelka said. Lancaster city council candidate Michael Rives said he opposed the project, and wanted the council to hold a public hearing before approving the agreement. And Lancaster resident, Maureen Feller, was concerned about Ecolution’s time in business and the fact that the city was not putting the project out to bid. Several others however, including Waste Management representative, Sandra Pursley, and Antelope Valley Black Chamber of Commerce President, Rich Poston, spoke in favor of the project. 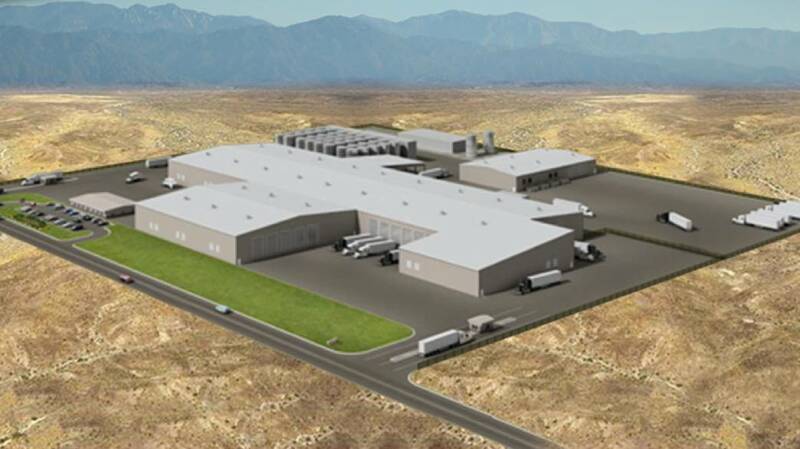 “Because of the job creation and the economic development that’s going to take place as a result of this project, this is the perfect project for this area,” Poston said. In the end council members voted 4-0, with Mayor R. Rex Parris absent, to approve the agreement for the city to partner with Ecolution (read it here) to develop a materials recovery and conversion facility in Lancaster and for a separate Exclusive Negotiating Agreement (ENA) (read it here) to allow the city to work with Ecolution to locate a site that could accommodate its facility and assist Ecolution through the development approval process. “This will be one of the largest resources in the history of the Antelope Valley,” said councilmember Marvin Crist. 26 comments for "Council approves waste conversion facility"
Is anyone asking the question of how the trash that feeds this plant be sourced? Will the trash come from the AV, or will the facility need trash from down below to keep it fully fed? That’s the important question. How do we keep “Down below” from increasing trash trucks coming up to the AV? Careful questioning of TRex and crew about the future to determine if this is a Trojan Horse for getting more of the LA Basin trash on it’s way to the AV is in order. Sheppard Rex ducks out of the meeting and his sheep approve his plot. No discussion, no debate but only a rubber stamp. But then again Rex not being there later provides him with plausible denial. He could blame the sheep and the sheep can claim a dumb animal defense. Ever notice Michael Reeves goes to more meeting than the Sheppard. Where is the environmental impact review? TRex was very concerned about the impact of the South of the Cactus Curtain power plant, guess he’s not so concerned about this proposal as it’s North of the border. Mr. Perris does seem to not care about much other than himself and those who can help him profit. The people on the city council years ago, were good people who cared and listened. At least our city government appeared to act like a government. Now our council follows this bad person out of fear and intimidation. Mr. Perris is a mean, angry, greedy little man who does not care who he hurts and probably sleeps better than the rest of us. All Mr. Perris represents is whats wrong with our government. Are Parris and Newt Gingrich related? Those 2 bigmouths always think they are the smartest men in the room but routinely prove they aren’t, just pushy. I’m amazed. Mayor Shepperd does’nt show up and his sheep took a vote without him. I didn’t know you could train sheep to do that. Carve this in marble along with Parris’s “The BLVD will be the safest place in the universe”, “People will come from all over California to shop at the Lancaster Auto Mall”, “Lancaster is a Christian community”, “Lancaster is a ‘world class city'”, and other memorable quotes. If Parris tells you it’s Thursday, better check. So when are the people are going to learn that Frank Visco is a part of this too just like the Eye In The Sky? So when are the people of Lancaster going to learn that Frank Visco is a part of this too just like the Eye In The Sky? Lets see… 40 acres of land now Plus any future developments. and this has been planed for how long. And Rex’s cronies I am sure have been told where they are going to build this so they can buy land cheap and sell to the city at a huge profit. We also have no say so where its being built, or in who’s back yard. Under the contract they have to import and contract with other city’s to bring trash up here and drive hundreds of trucks worth of garbage to us. I can go on and on. The whole plan is so full of holes and puts us on the line for millions we don’t have. Read the agreements between them and the city… I have several times. It’s only bad if it’s created south of Ave. M.
Please, John. You must realize that Lancaster’s leaders are always right no matter which side of an issue they take. It’s a mental disorder with no cure. You can certainly confront them with their contradictions but then you’ll come away thinking you’ve just taken a trip through ‘Wonderland’. Stinger, you should be stung! This is the finest Economic Development and Environmental package presented to Lancaster in decades. The only taxpayer funds being used are for the land, and they’re giving the city 5-6 million annually? What’s the problem with that? Research all the companies who spoke and recommended the project, then let us know what you think. You’re way off base on this one! Prove it, Parrisite. Show me how these supposed benefits were weighed in public hearings with the public able to ask questions about it BEFORE a decision was made. Show me the cost benefit analysis that was presented to the public BEFORE a deal was made. Show me the bid process REQUIRED UNDER THE LAW to ensure that the public got the best deal – instead of the other way around. I DID do the research… Did you? Goodness! Stinger is a misnomer. Bad manners would be more descriptive. Your elected officials are representatives of the public and did see the cost/benefit analysis, I’m sure. Also, did you notice who spoke in favor? Some of the biggest in the country! Are you upset because you weren’t asked? Do you have any expertise in this business. I’ll trust them before you, I’m afraid. As for bids, there is no other company with the patents to build this type of facility. Land is the only thing the city is putting up. The company is putting up about 100 mil per plant, and giving 5-6 mil per year to the city. Sounds like a pretty good land sale by the city to me! Abby, you don’t get do you? We as the community should be giving the opportunity to have an input on these so called projects, wheather you think we are imbeciles that don’t know how to blow our noses or not, there is a process in place for a reason, for what I read you have superiority complex and that makes you dangerous because you can not see the posibility that someone else could have a thought whorth listing to or that you could possibly be wrong? in another words “norrow minded” you know, constipation of the brain. At least I can type and edit! Yeah, but you still can’t see through Parris’ blatant corruption. @Abby, We are a goverment of the people by the people, WE, the people decieded that issue long, long. long time ago, no kings or courtesans here, maybe some corrupt dilutional politician and their followers with thoughts of grandure. I write as a go no editing here or spell check, I though I throw you a bone, something for you to do or critizes. She’s SURE somebody checked it out. And that’s all we need to know. Go back to sleep everyone. Nothing to see here. Except Marv Crist’s buddy get a 20 yr contract for millions of dollars without going out to bid OR have any public input. But Mr. Mann says it’s good, because our bills won’t go up in 10 yrs. Maybe in 9 yrs, or 11 yrs, but not in 10. It’s good to be king. everyone who disagrees with you is a “Parrisite” now? man you must be hyper paranoid! I’m just curious how much he pays you guys for this stuff. Parris has stated, on the record, that he does pay for people to come onto these sites to blog for him. Every election cycle, they come out of the woodwork with their blogging orders while being dead silent the rest of the time. I guess one reason why I refer to the people who support Parris in his clearly illegal schemes as paid bloggers is that I just can’t believe that there are people so stupidly moronic as to actually buy into his blatant lies, so they just MUST be paid to say that they do. What a shock (not). The Parrisites approved a sweetheart deal for their own crony, Tim Fuller – a Parris appointee to the Criminal Justice Commission – to use taxpayer funds to line his pockets for a business which has not even existed for 6 months yet. It’s unfair that some of Rex Sheppards sheep are better fed than others. We missed him at the council meeting. He must have been out tending to his flock. Wonder if he’s teaching them how to vote.